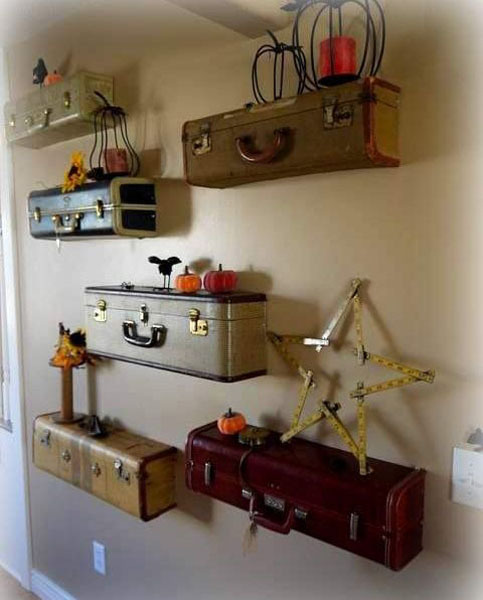 Recycling old suitcases for wall shelves or unusal storage boxes is a great idea for creating stylish vintage furniture items and adding unique flavor of retro home decor. Decluttering and using old suitcases as home decorations create more spacious, bright and interisting room decor with vintage charm. Vintage furniture and home decorations made of broken or old suitcases in various sizes, colors, shapes and materials are wonderful diy projects for creating personal and adventurous room decor. Beautiful wall shelves and storage trunks on the floor, made of used suitcases, add retro charm and interest to any room, creating warm atmosphere and saving you money on stylish home decorating. 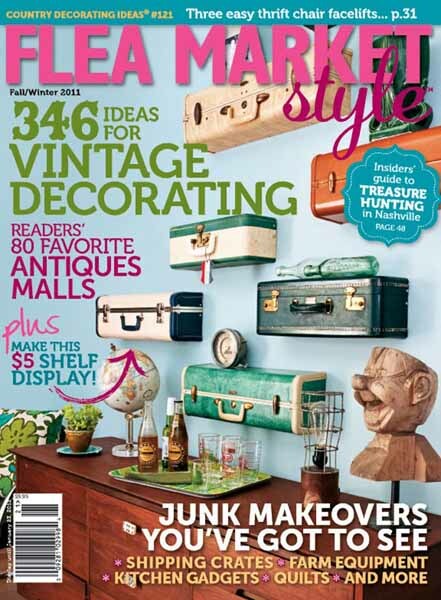 The ideas of turning old suitcases into vintage furniture, like wall shelves came from Flea Market Style magazine among more than 300 ideas for cheap and impressive vintage decorating with junk and clutter items. 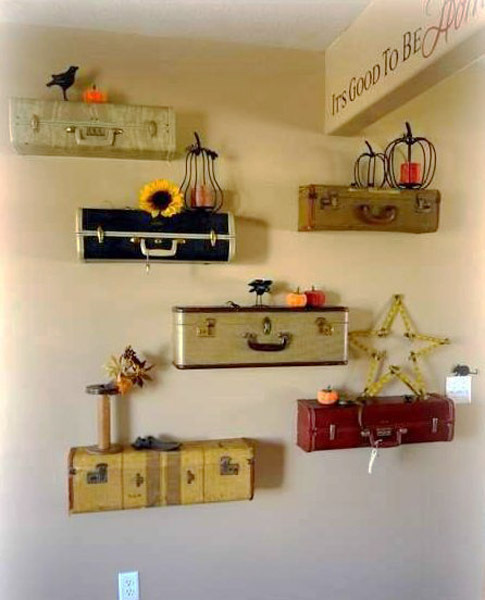 A similar diy project for vintage wall decoration with shelves made of old suitcases in various sizes, colors and shapes was spotted on Red Hen Home blog, redhenhome.blogspot.fr/ which gives the instructions and useful tips. You need: vintage suitcases, painter’s tape and scrap paper for templates, screws, level, jigsaw, electric drill with a screwdriver bit and wood pieces.